Do you get sick every time somebody near you sneezes? I used to. I had a very weak immune system. So I got every cold virus that went around. I felt horrible for two weeks and then it would take me another week or two to get back to normal. My normal wasn’t that great either since I had adrenal imbalance. 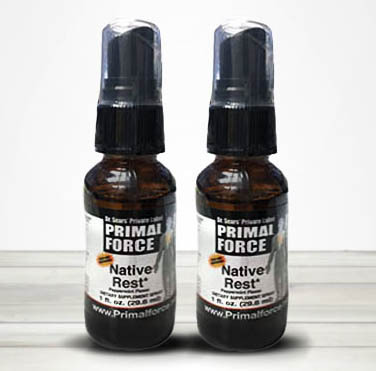 After I was diagnosed with adrenal fatigue, I began to use natural remedies to treat it. And I found good methods to give my immune system a boost. And some very Effective Supplements to Treat Colds and Flu. And Supplements to Boost the Immune System. Immune system is your defense team against disease. It helps you to fight against viruses, bacteria, and other micro-organisms. It is a complex network of organs, cells, and tissues working together to keep you healthy. 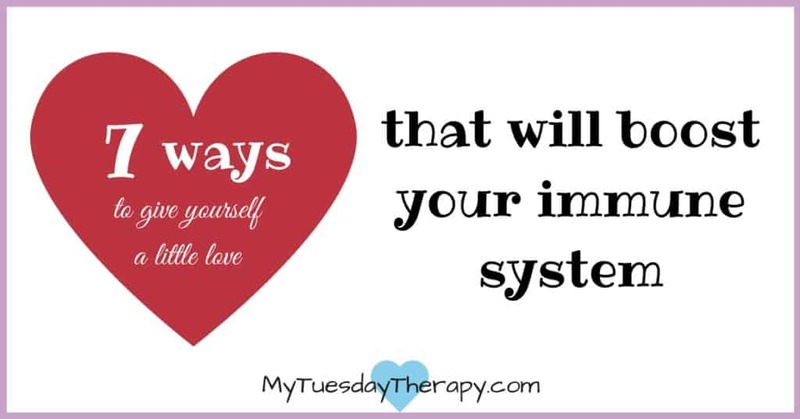 Your immune system is the second most complex system in your body, nervous system being the most intricate one. I used various acupressure points to boost my immune system. You can find pictures of these points on my Acupressure Board on Pinterest. Though I didn’t do all of these every day, I tried to do them on a regular basis. Some of them were part of My Daily Routine for Adrenal Health. I had noticed that my upper back near the tips of the shoulder blades always got really sore and tense before I got sick. Does yours do that? Since it is hard to press these points (B 36), ask your significant other or friend to massage them. I love to have a cup of hot tea in the afternoons. 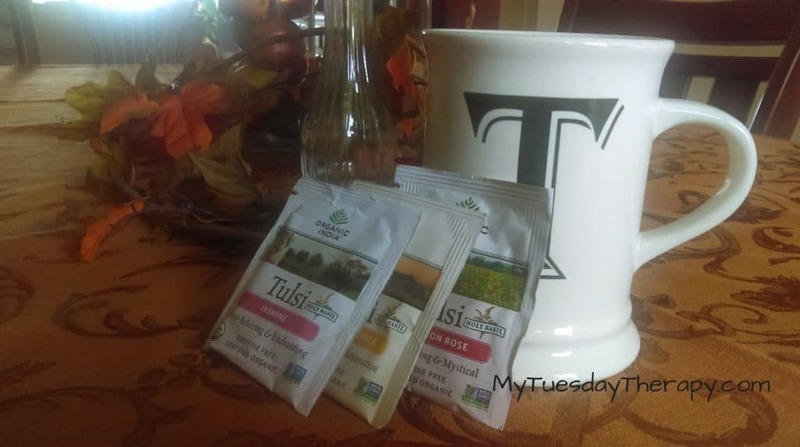 And Tulsi Tea is one of my go-to teas. I read many good things about Tulsi (Holy Basil) and its immune system boosting qualities. Besides being antiviral it is also antibacterial and anti-inflammatory. Additionally, it is an adaptogen and a great aid in balancing stress hormones. You can buy Tulsi Tea from iHerb. They carry a variety of flavors. My favorites are Jasmine, Sweet Rose and Cinnamon Rose. If you use iHerb promo code LAB515, you’ll get 5% off your order. To give my immune system a boost, I switched to eating as much organic food as I could afford and easily find. I had a multiple chemical sensitivity and it really helped that I did not load my body with toxic chemicals whether it was food, home or personal care products. You can find the products that made a difference to me in the post: Things to Avoid and What to Do Instead. To have a stress free life! I learned from an experience that when you have a severe adrenal fatigue you shouldn’t have too much fun :). But it is still beneficial to do Fun Stress Relieving Activities as long as they don’t burden the HPA axis. 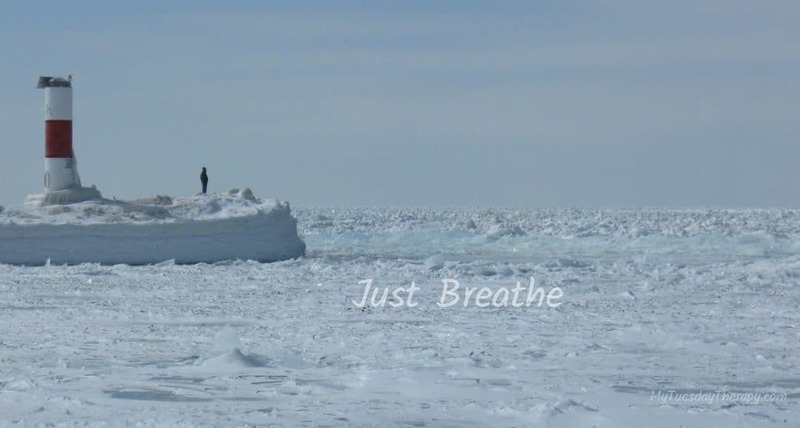 Breathing exercises are another great way to relax your body and mind. By using them you can activate your parasympathetic nervous system. It helps you to conserve your energy and it increases your intestinal and gland activity. 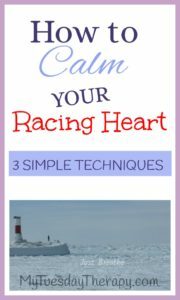 These Breathing Techniques have worked wonders in calming my racing heart and de-stressing my mind. This one goes hand in hand with the the de-stress point. It is important not to do too much. Many of us tend to stretch ourselves and overdo. It’s always been hard for me to say “no”. But I was pretty much forced to do so when I was bedridden because of the adrenal exhaustion. Give yourself the time to enjoy the commitments you do have and don’t add any extra unless you really have the time and energy for it. I can’t stress enough the importance of sleeping. I was sleep deprived for a very long time. Chronic illnesses like HPA axis dysfunction cause insomnia. Sleep deprivation weakens the immune system. My body’s ability to fight bacteria and viral infections was very low. I was sick all the time and it took me forever to get over a cold. Even though I have a way better health now, I make sure I get enough sleep. You should too. When I struggled with insomnia, I was not eager to take any sleep supplements. 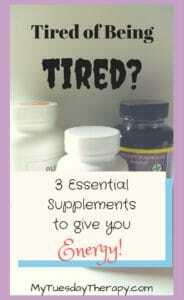 But knowing that I desperately needed some sleep I looked for and found some sleep remedies that really worked for me. The lymphatic system is the “first line of defense against disease.”  It gets rid of toxins that would otherwise linger in your body. I had trouble with my lymphatic system. Dry skin brushing gets the lymph moving. It has been an important part of My Daily Routine for Health. To boost my immune system I also did lymph drainage massage. When done right, it really helps. Exercise, especially rebounding, is one of the best ways to keep the lymph moving. Not only is it good for the lymphatic system, it also promotes bone and joint health. Get a Rebounder and start bouncing! In general, exercise is good for you but if you have adrenal fatigue you should avoid intensive exercise. I recovered from a severe adrenal fatigue by following this Adrenal Fatigue Recovery Plan. It included boosting my immune system by using the above mentioned methods. I don’t get sick anymore every time someone near me sneezes. But if I do get sick my symptoms are not as severe and don’t last very long. You can find the cold remedies I use in this post: Best Natural Remedies for Cold and Flu. 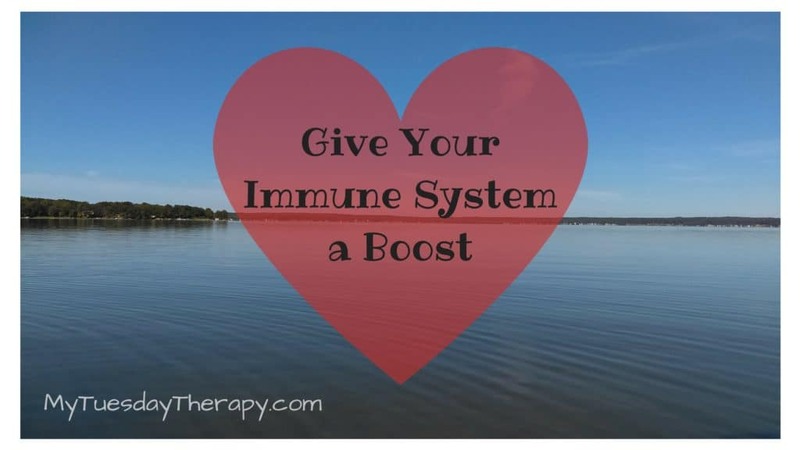 Supplements to Boost Your Immune System is also part of the series. Give yourself some love by reducing the toxins in your life. Get enough sleep, drink some tea, and keep moving… no matter how little, anything counts :)! 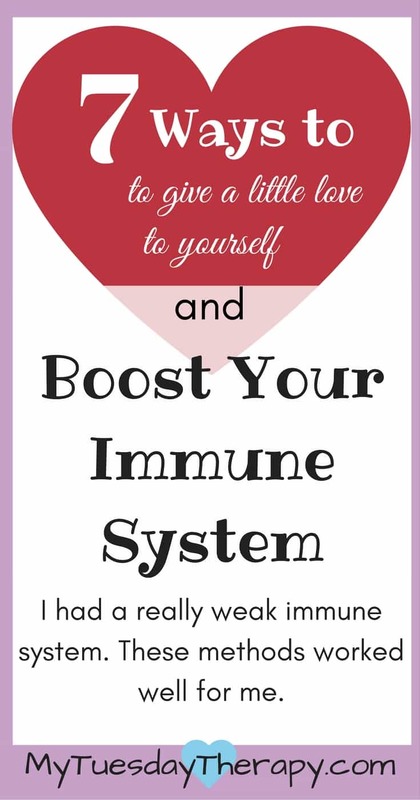 Show love and share the post so others can give a boost to their immune system! Dr. Mercola. 2009. One of the Key Herbs that Prevents and Treats Swine Flu. Sizemore, Robert C. 2012. How Does Stress Affect the Immune Response? Besedovsky, Luciana; Lange, Tanya; Born, Jan. 2011. Sleep and Immune Function.